Nature knows what vivid colors are best to attract bees. Yellow is one of these colors.Since I am allergic to bees, this is a color I never wear. 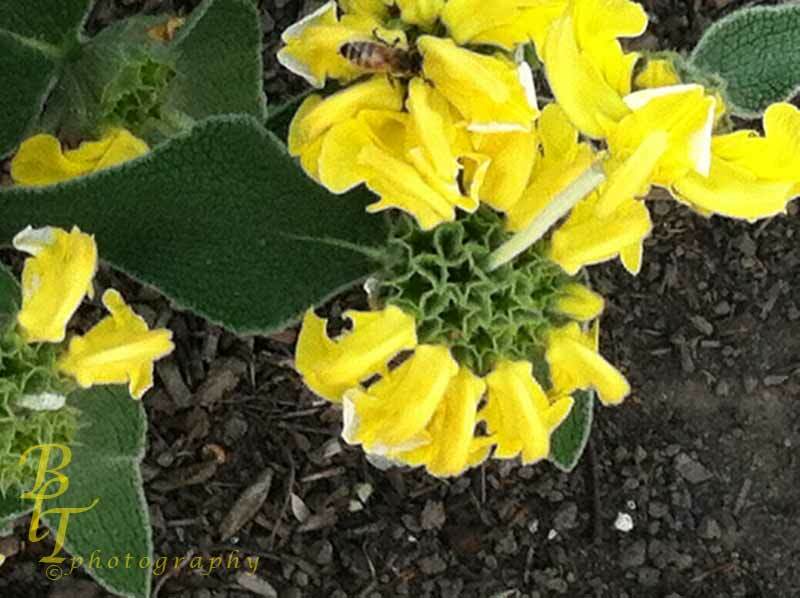 Loved that you captured the bee and the colors of the flower! It was good to have the capability of zooming in to get that bee without making it mad.